I hope you all had a relaxing Easter and that you are embracing this cooler weather. “Exercise is good for you, this we know. It helps build muscle, burn fat and make us all into happier, healthier people. But long before you start looking the way you want, there are other hidden, more immediate, molecular and immunological changes taking place inside your cells. Changes which could be responsible for protecting us from heart disease, high blood pressure, type 2 diabetes – and even stave off old age and cancer. Type 2 diabetes causes all kinds of health problems, including cardiovascular disease, high blood pressure, blindness, kidney failure and nerve damage, and may lead to limb amputation. The underlying cause is the development of a heightened inflammatory state in the body’s tissue and cells. This damages cells and can eventually lead to insulin resistance and, ultimately, type 2 diabetes. The main risk factors for type 2 diabetes include obesity, a poor diet and a sedentary lifestyle. However it has been found that even low intensity exercise, such as brisk walking, can increase the body’s insulin sensitivity. This means that people at risk of developing diabetes become less prone because they are able to metabolise glucose more efficiently. In a study, 20 sedentary people who were at risk of developing diabetes were asked to walk briskly for 45 minutes, three times a week, for eight weeks. Although there was no change in their weight, blood pressure or cholesterol level, on average each participant lost a significant six centimetres from their waist circumference. And, more importantly, there was a reduction in their diabetic risk. I am very passionate about keeping people mobile so that they can look after themselves and maintain good health through comfortable and regular exercise. A surprising number of people allow little niggles to develop into painful problems which impact on their ability to move comfortably. Treating the ‘niggle’ in the foot, knee, hip, ankle, elbow, shoulder, neck or back before it becomes a big issue is the best way to look after your body. Regular maintenance treatments can inhibit the ‘niggle’ from even taking form. Recently I completed my EMM-Care training and can now offer EMM-Care support. EMM-Care is a tailored special needs and disability support program to assist parents and carers with home-care by improving quality of life for both the special needs person and also their parent/carer. 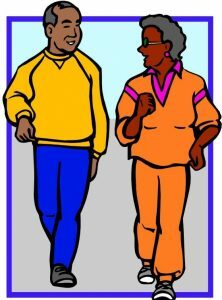 In brief, I can assess your needs and then share with you up to 3 Emmett Moves that you can then use with the person you are caring for, to assist them in everyday living. It is not a full treatment program, but functional daily assistance. It can address a range of issues such as co-ordination, balance and stability, muscle spasm/rigidity, focus and concentration, anxiety, digestion, fluid retention, and much more. Please contact me if you are caring for someone with special needs and would like to explore how Emmett could assist both your lives. It’s just around the corner and if you would like to spoil Mum with some well-deserved relaxation, a wonderful full body or upper body massage is always appreciated and enjoyed. Mother’s day vouchers are available: – $80.00 or $55.00. Contact me to organise a gift voucher. And on the subject of mothers (and babies), there are some wonderful services, provided by wonderful people, available locally. And, of course, there’s me! I offer pregnancy massages and Emmett treatments for mums to be. In pregnancy, Emmett can help muscles adjust as the body changes, allowing the mum to be in a more relaxed physical state through the whole pregnancy. Emmett can also release hip, back and shoulder tension, reduce fluid retention, improve lung capacity, help with cramping and give an overall sense of balance. It helps to ready the mother’s body for birthing. I can also assist when the baby arrives. With a few simple moves, issues such as the baby’s inability to settle or to feed successfully from both breasts may be addressed. I have also worked successfully with babies who have muscle tone issues…so rewarding! I look forward to seeing you, to help to ease your pain and discomfort and to maintain your good health through Emmett, Bowen and Massage!